The Blusher accentuates the cheek area giving a glow to the face. This talc free, silky powder contains a moisture balance formula that is easy to blend and keeps the skin smooth, hydrated and nourished for soft cheeks with just the right hint of color. 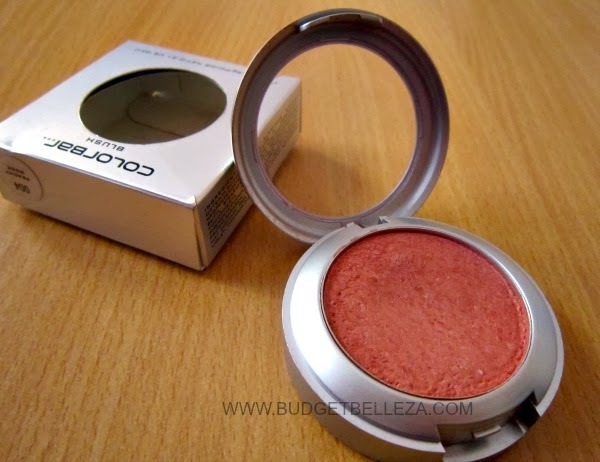 Colorbar Blush in Peachy Rose comes in a round silver pan with two compartments. One carries the blush pan while the other has a brush in it. It does not come with a mirror and the brush provided is of no use. The packaging is bulging and not very sleek to fit in small makeup pouches and is not stackable either. 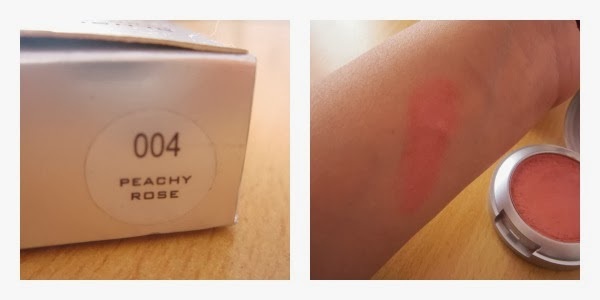 This particular shade Peachy Rose has been quite an attention grabber in the blogosphere,so much so that it has been even compared to Benefit Corallista. Peachy Rose is a yellow toned pink with very slight shimmer..that just gives a healthy,just-out-of-the-gym glow. Its more rosey than peachy though! Peachy Rose is a super-pigmented beautiful blush and keeping that in mind,you have to go really light handed with this baby! The texture is very smooth and it blends on really well. The staying power is impressive,when worn directly on base makeup sans the compact/powder,it stays on for 5hours on me pretty easily. The rosey colour is going to suit almost all skin tones (lighter ones..go light handed,it has an amazing ability to make you clown face).. 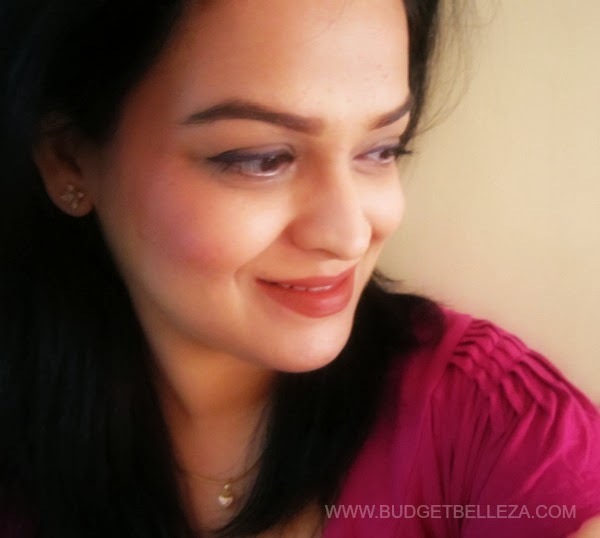 I don't like colorbar blushes' packaging, infact I prefer Lakme Pure Rouge ones'. They are easy to pack in makeup bag and are stackable too. Plus the brush provided...aaah! why did they even provide it? Almost matte with a beautiful sheen..no shimmer! Peachy rose would look good on all skin tones. I don't like the round bulging packaging. Brush hat comes with it is useless. The shade goes on with most of the looks and colours. 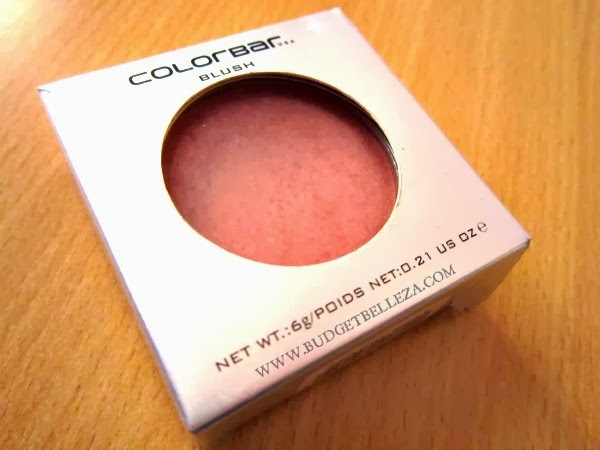 The pigmentation and texture is good enough to make it the blush I reach out for most of the time. I guess this exact range and shade has been discontinued by the brand and it now comes in a new packaging with similar looking shades having different names at a much higher price... So I guess,the question of repurchase doesn't arrive! Thanx n I'm glad u liked it.. I have the same blush and can't believe they have hiked the prices so much!! I completely agree with you. In fact, it never appeared 'peachy' to me. But the color is great. You look so pretty! I mean that ethereal kind of pretty. This is the problem with the brands Niv,once u like the product for it price n quality..they hike it like anything..
You blended it so well! I just loved it! Nice shade this is and looks perfect on you! 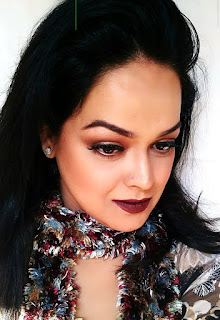 wao.. this looks so nice on you.. loved your review!! the color definetely not looks peachy but stills U r rocking it! !